A flooded house, business, institution or commercial/industrial property is one of the worst disasters you can experience. Why? Because the damage and health hazards you see are often not all there is… and every minute you wait to remove that invading water makes the hazard more dangerous and more costly to mitigate. 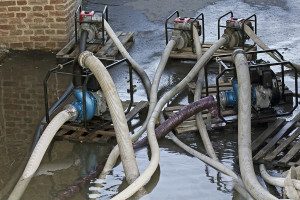 Whether the flooding was caused by a leaking or burst pipe, heavy rain or storm runoff, seeping groundwater through basement walls or floor, or devastating flood waters from an overflowing river, stream, lake or ocean… job one is emergency water removal. EVERY flooding event, whatever the size or scope, is an emergency, because the hazards of delay are so great. 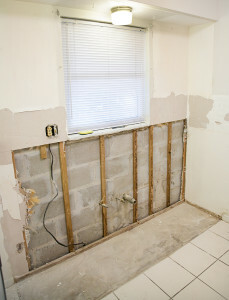 Create a hidden moist environment where toxic mold colonies can grow unchecked, releasing spores that can damage air quality and potentially damage structures. Bring in hazardous contaminants – chemical and biological – to places where they should never be. Produce foul-smelling odors that are so difficult to eliminate. 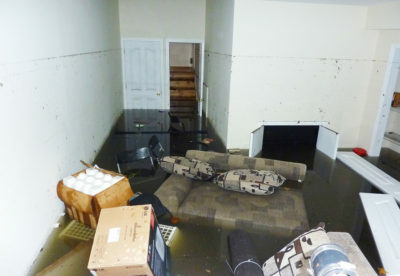 That’s why it is so essential that you contact the CRM Services Restoration PROS immediately when you experience a flood event. You can call our 24/7/365 Emergency Response Hotline 678-540-8606… or click on the LIVE CHAT button in the corner of this page to chat with a real person any time – day or night. CRM Services has Emergency Response Teams on call around the clock to respond quickly (usually within one hour of your call depending on location and the scope of the resources needed). We will immediately deploy powerful pumps to remove invasive water rapidly. We utilize advanced metering devices that are exceptionally sensitive to find hidden moisture behind walls, under floors or wherever it may be suspected. Deploy powerful drying fans and other specialized equipment to draw the moisture out as quickly as possible. Immediate professional water extraction is the key to minimizing damage and costs… and to ensuring the shortest path to recovery. SPEED COUNTS. If you need help now, call us 24/7/365 at 678-540-8606 or click on the LIVE CHAT button now. We’re standing by to get into action.